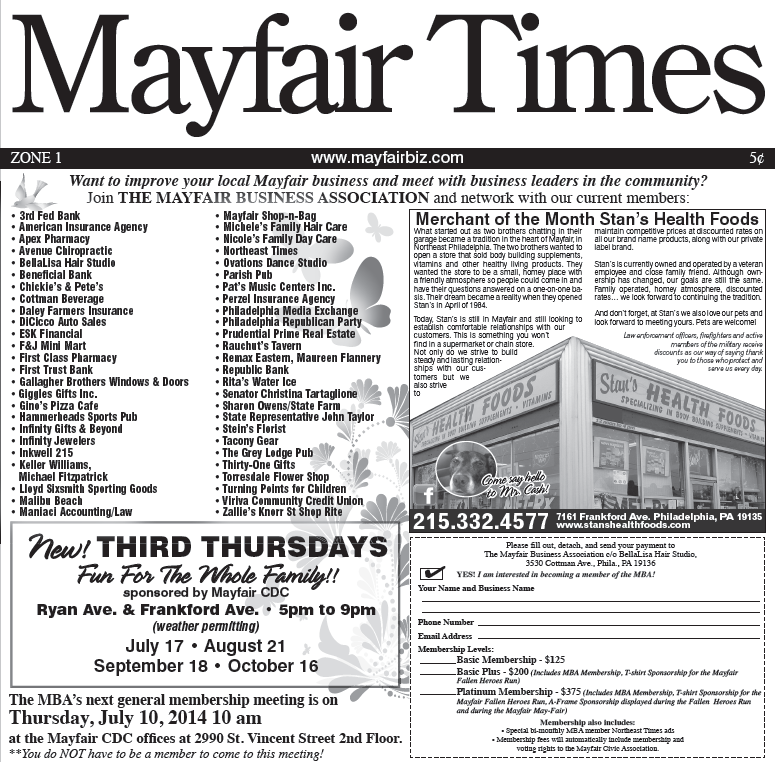 The Mayfair Business Association and Mayfair CDC, in conjunction with Mayfair Civic Association, will now have a standard ad inside the back cover of the Northeast Times. This ad will run weekly and act as a newsletter for the neighborhood. We will update this ad weekly with neighboorhood news and will profile neighborhood businesses and events. 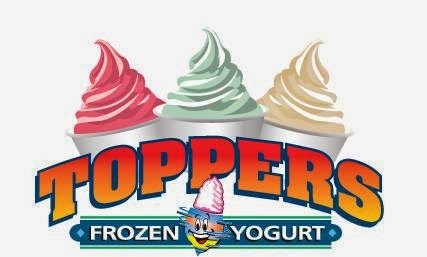 Mayfair Memorial Playground Fundraiser at the Grant Avenue Toppers Yogurt!! Tomorrow, Friday June 27th from 12 noon to 11pm. A portion of the proceeds from the sales for the WHOLE DAY go to the playground. No need for a flier or to mention us but we would really appreciate your support so we can buy our next piece of playground equipment. We'll be even more appreciative if you get EXTRA toppings! See you there and spread the word! Thank you!!! Several years ago the above organizations were reenergized by a dedicated group of volunteers and what they have been able to accomplish is extraordinary. 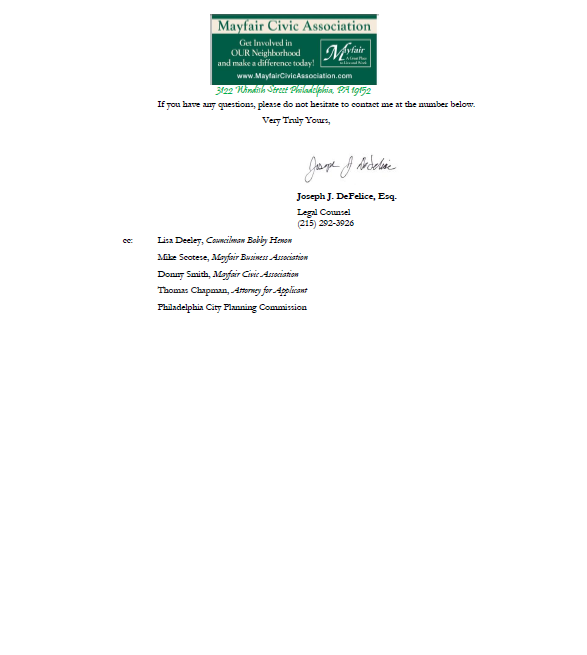 These groups started the annual Mayfair May Fair and the Mayfair Fallen Heroes Run, built the Mayfair Memorial Playground, performed storefront improvements along Frankford and Cottman Ave., brought the Thanksgiving Parade back to Frankford Ave., secured $85,000 in yearly funding from Allegheny Iron and Metal Corporation, retained their CleanSweep program, were awarded a $20,000 planning grant, successfully started the Mayfair Townwatch, created a Christmas Village and Tree Lighting, streamlined the Steuben Parade, stabilized the Annual Shamrock Shuttle, led the charge against nuisance business, took over and cleaned up blighted residential properties through the Act 135 Conservatorship program, began Third Thursdays and the Mayfair Farmers Markets, initiated the annual Halloween and Christmas House decorating Contests, wrote legislation for a new overlay, modernized an approach to area zoning, held an annual Easter Egg Hunt and Halloween Spooktacular, worked with Pennypack Music Festival to keep music in Pennypack Park, proposed a split of the 15th Police District and kept Mayfair an great place to live and an awesome place to visit. If you would like to get involved and help us continue to grow and move forward, please feel free to contact us at mayfaircivicassociation@yahoo.com or visit us at the above websites. Also, starting nextweek you will be able to find a weekly Mayfair bulletin board on the back inside cover of the Northeast Times. This will be our permanent spot for the next year where will post much of the above along with other events and where we will be highlighting local businesses. It's Midsummer in Mayfair! Well, it's a couple days early but that doesn't mean we still can't celebrate the summer! 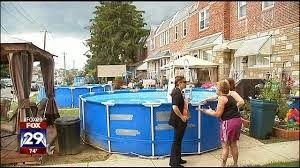 The Mayfair Community Development Corporation is proud to kick-off our Third Thursday's during the summer! What do you want to celebrate? The end of the school year? Longer days? Warmer nights? Easy living? Fireflies and ice cream? 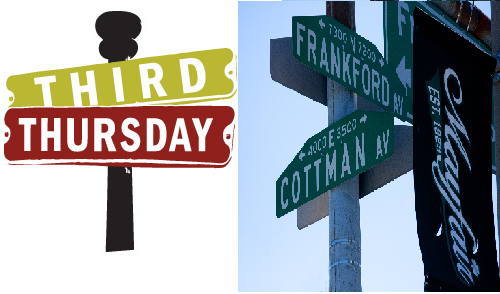 Third Thursdays is going to be a monthly party to celebrate the community of Mayfair at Cottman and Frankford Avenue with a little bit of everything mixed in! We're starting TONIGHT and going until October! Local businesses, a produce stand courtesy of Capriotti Brothers Fruit & Produce, beer garden courtesy of The Grey Lodge Pub, artisans, crafters, food vendors, live music and entertainment for the kids and families! Bring the kids out for some dinner, dessert or both! Stick around and listen to music, dance, whatever you want! It's summer, there are no rules! We'll have face painting and balloon animals and much more! 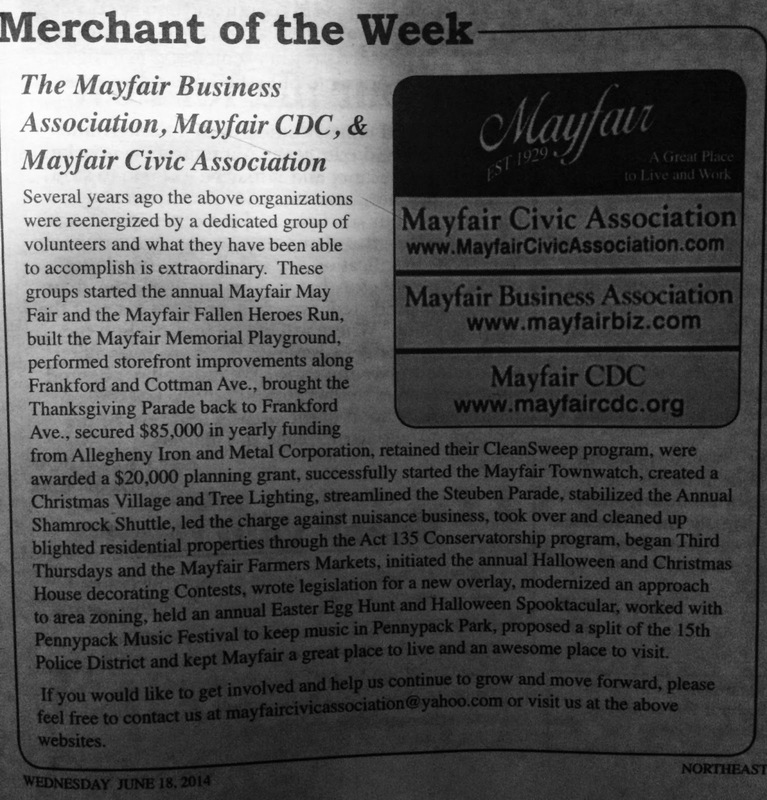 A recent visit to Mayfair opened an interesting door to civic action. 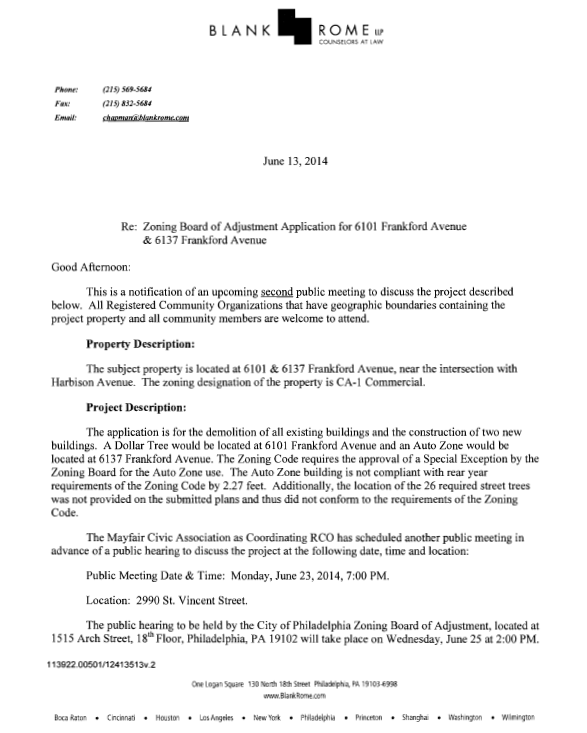 Just recently I made a trip to the scheduled meeting of the Mayfair Civic Association in the Northeast, not a regular stop for someone who mostly attends meetings in my home territories of Germantown, Mt. Airy and Chestnut Hill. Sometimes it’s good to get a fresh perspective, especially when it results in coming away from a community meeting with a positive view of everything that just happened, as was the case that night in Mayfair. 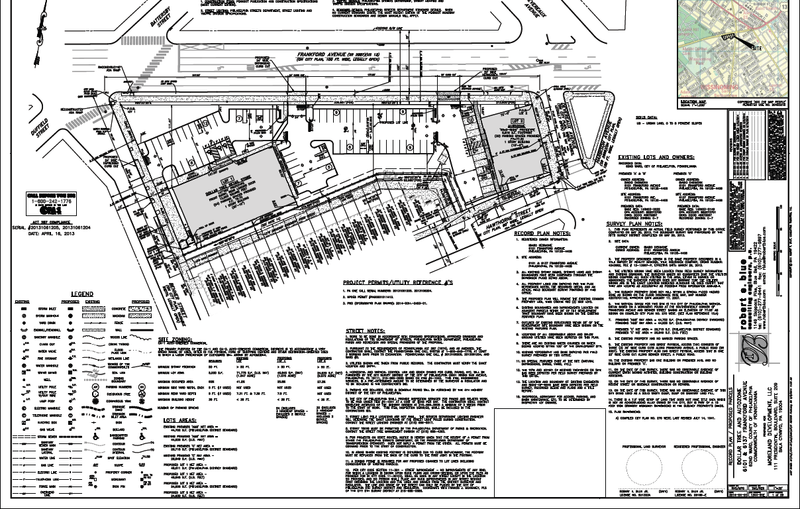 (I can’t remember the last time that happened in troubled Germantown or Run in the Dark Mt. Airy). I was directed there primarily because Councilman David Oh was scheduled to make a presentation just before the primary election on his proposed change in the “Resign to Run” laws for city elected officials. Considering the potential of such a change, I thought it would be worth listening to it firsthand. What I saw there should be a model for how Civic Associations across this city operate. First, the turnout was significant; although I did not do a count, I would guess 65-70 people were present sitting or standing. Second, it was an up-front lesson in working social change. Well, it’s been while since I took notice, but there was a greater mix of race and ethnicity there than I would have ever imagined in past years; it was not one or two token individuals, and those who were there were all vocal and focused. A significant agenda was well managed, and I sat through all of it as Councilman Oh was scheduled last. Sub-committee folks were prepared to report, critical issues got time and feedback, a major zoning change proposal was well critiqued by numerous near and not-so-near neighbors with legitimate concerns and questions, and order was kept when needed by some very careful leadership by Chairman Joe DeFelice and his associates. 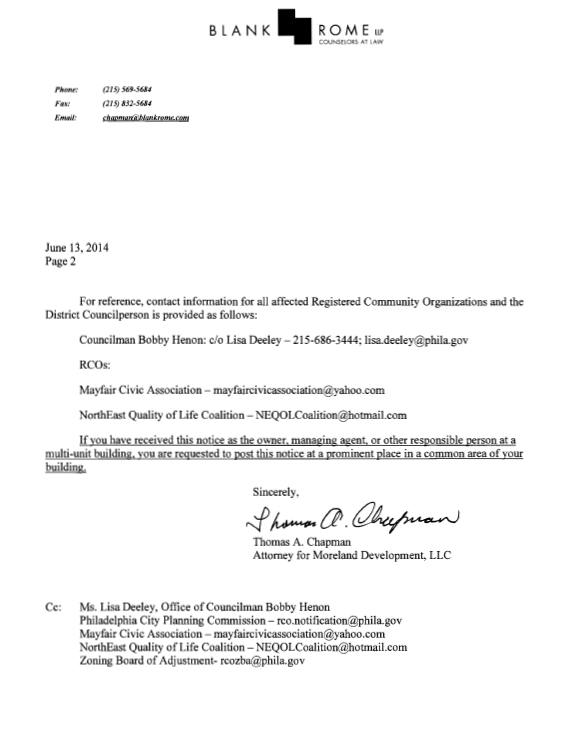 A surprising coincidence came on May 29, when a prominent Inquirer story by Dan Geringer told how Mayfair Civic bootstrapped itself back from the dead. It was all done through the efforts of citizen activists and particularly Mr. DeFelice who went hands on a few years back in 2009. When the city funded agencies turned Mayfair Civic down for what they saw as neglected facilities and essential services, Mayfair Civic did not just cry the blues and beg politicians. They knocked on doors, raised nickels and dimes and held fundraisers. Once the grassroots efforts got noticed, Mayfair Civic got some serious sponsorship from local businesses and a major donation from a large area supermarket that recreated closed playgrounds and funded upgrades everywhere. For far too long, I have watched the fragmented and narrow agenda focused so-called civic groups in my home territory talk the talk, fight among one another, and accomplish little except wasted effort. As with Mayfair, city departments ignore them in the Northwest too, except when some inside deal with specific political interests are in the mix, and then just about every one of them tries to position themselves for public money, often with some back door dealing. Worse, the big business types actually dominate political control and in effect take money from the community one way or another. The concept of any of them donating $80,000 for a playground or any other project is pure fantasy. The folks in Mayfair apparently get it. If the city is too inept or corrupt to do their job, walk around them and do it yourself. 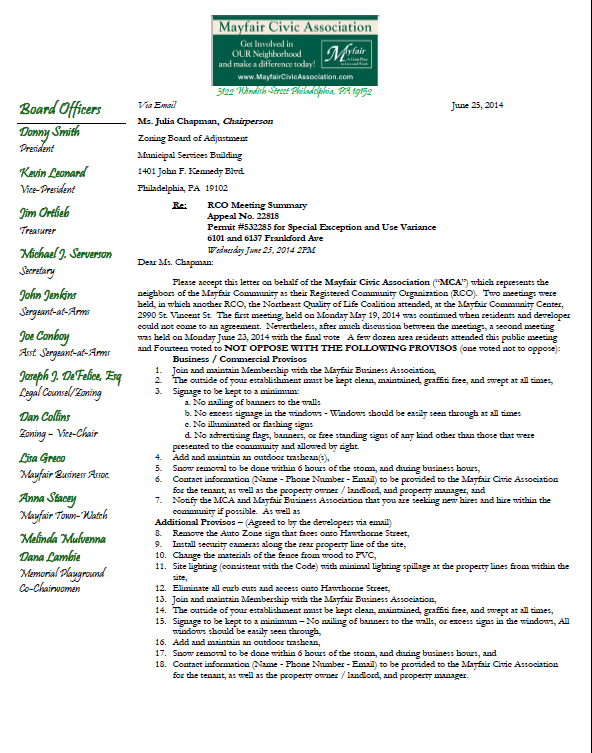 That is how it should be done, and congratulations to Mr. DeFelice and his whole organization. Civic activists everywhere can learn a lot from their experience.